Register for our PMP Certification Training Class in Cincinnati and we guarantee you will pass the exam. Our 4-Day Classroom, Instructor-Led Project Management Professional Certification Training Boot Camp is intended for project managers who are looking to acquire the PMP Certification fast and with dedicated support. Our PMP Certification Training is primarily based on the specifications set forth by PMI and is aligned to the PMBOK. Our core curriculum simultaneously provides you with comprehension and understanding of the test content as well the latest advanced test taking skills and tricks. The course modality seamlessly blends complicated learning with simple, memorable concepts that can be recalled and useful on the test. By the end of this course you will have an increased comprehension of the key principles and knowledge areas ensuring you are prepared to earn your PMP Certification. The core objective of this course is to adequately prepare students to successfully pass the PMP examination. 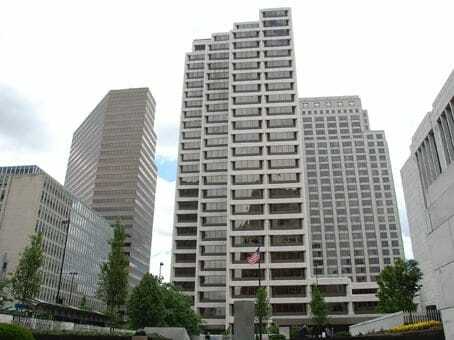 Our Training facility is in the heart of Downtown Cincinnati, at the distinctive PNC business center. Conveniently located close to the pedestrian bridge over the river and highly accessible for routes 471, 71 and 75. Our PMP Exam Prep Boot Camp in Cincinnati is an accelerated, guaranteed path to achieving your PMP certification. We blend proven learning concepts with simple memorization techniques to make sure you are able to keep the vast amount of information we cover organized and memorable.